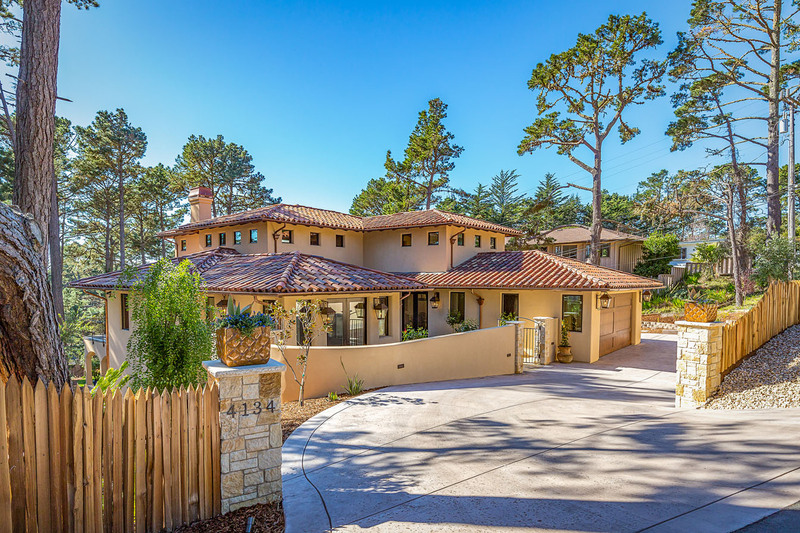 Contact Mark Bruno or Jeff Davi with the Monterey Peninsula Home Team to see if this Pebble Beach luxury property is still available. Call (831) 313-2289 to set up a private appointment to view it. You will enjoy blue water views through the Monterey pine forest from this brand new southern facing Pebble Beach luxury Ocean view home for sale that is tucked behind the private gates of Pebble Beach. Local architect Chad Brown from Monterey Designs, Inc. designed this modern luxe Mediterranean with nearly 3600 square feet of living space and an additional almost 2500 square feet basement! Modern conveniences such as a Lutron RA2 whole-house lighting system that can be controlled by your phone, a multi-zoned audio system with surround sound in the living room, and a Nest controlled radiant heating system. It is conveniently located close to the Highway 1 Pebble Beach Gate, which is just a few minutes from Carmel by the Sea, Monterey, and Pacific Grove. Shopping is close, along with access to the many beaches around the Monterey Peninsula and all the fantastic golf courses Pebble Beach and the surrounding area has to offer. The new owner of this Ocean view home will be fortunate enough to be the first resident to occupy this brand-new luxury Pebble Beach property! And if you are from the area, you know how rare it is to find a new construction home here and this one is a beauty! From the travertine stone or the beautiful strawberry blonde walnut floors to the Venetian plaster walls, you can tell the builder took pride when constructing this luxurious home. The kitchen is open and conducive to entertaining. 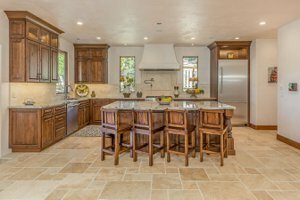 There is a large knotty alder center island covered in polished granite, which is perfect for people to gather around while you are preparing a great meal on the Thermador gas range. The cabinets are knotty alder and blend perfectly with the plaster walls and stone floors. There is a butler’s pantry with an additional sink and dishwasher and room for an additional refrigerator. There is a formal dining room that opens to the front entry courtyard for al fresco dining opportunities in the great climate upper Pebble Beach offers. 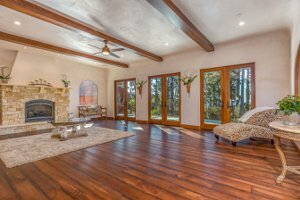 The living room is spacious and has great views of the ocean through the indigenous Monterey pine trees, a look only available on the Monterey Peninsula. The open beams and fireplace adorned with Carmel stone add to the coziness of this space. The main level is also home to two bedrooms and an office with a half bath, which could be converted into a guest bedroom. There is a large hall bath with a soaking tub and a walk-in shower. The ocean view master suite is over 1000 square feet and is located on the upper level. It includes a sitting room and large bedroom with hardwood floors plus a 278 square feet balcony covered in stone. There is a fireplace to take the chill out of the cool Pebble Beach evenings. The luxury spa-like master bath is covered in travertine and features a large jetted soaking tub, a walk-in shower for two, dual vanities and a walk-in closet. 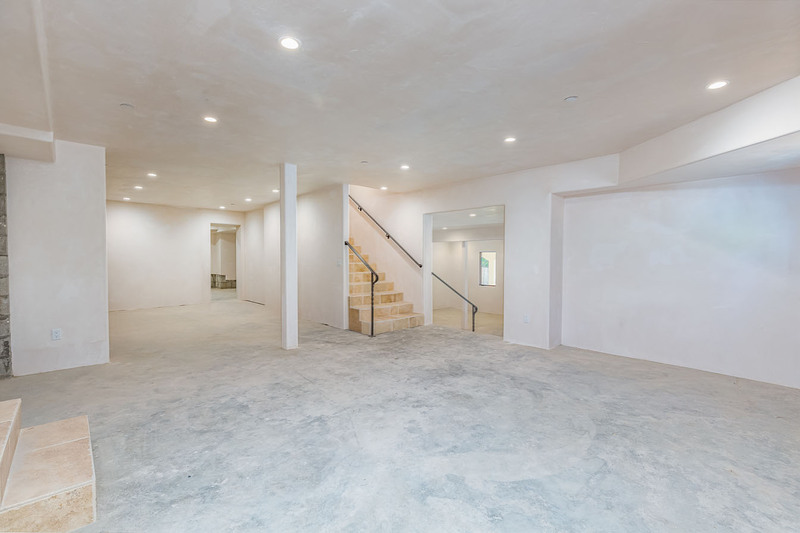 Dreaming of A 2500 Square Feet Wine Celler? Pebble Beach's Upper Forest Neighborhood is located at the top of Huckleberry Hill and is the easternmost neighborhood in Pebble Beach. The Upper Forest is located to the north and slightly west of the Hwy 1 Gate into Pebble Beach and gets the most sunshine of all of Pebble Beach due to the coastal fog burning off here first. This neighborhood is known for its scenic views of the Pacific Ocean, Monterey Bay, Point Lobos and Carmel Bay. There is some amazing luxury ocean view real estate in this neighborhood due to its unique vantage point. Read more about Pebble Beach’s Upper Forest Neighborhood. 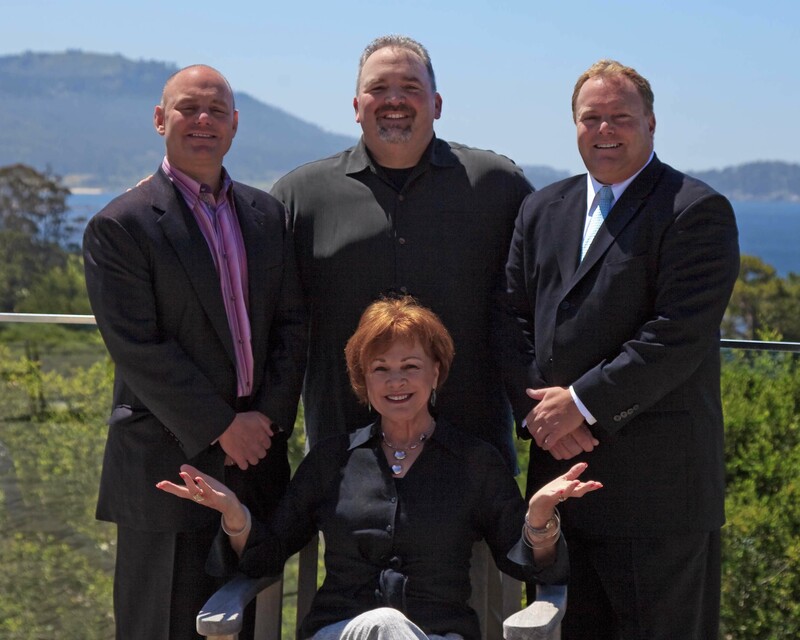 Pebble Beach is synonymous with luxury and I’m sure it comes as no surprise to you that Pebble Beach is full of luxury real estate, especially luxury real estate with Ocean views. To some people, Oceanfront real estate is the epitome of luxury living while others prefer a Pebble Beach Golf Course home with ocean views in the background. It is hard to argue whether Pebble Beach Ocean Front Real Estate is more luxurious than Pebble Beach Golf Course Real Estate when they both are incredible pieces of luxury real estate. Search for other Pebble Beach Ocean View homes like this one.